5 Surefire Ways to Improve App Adoption | JUJAMA, Inc.
Market the app: Be sure your attendees know the app exists by sending out emails and social posts reminding everyone to download, download, download! Start several weeks before the event and try different approaches. For example, a short video in which you show how easy it is to download and use the app is an inexpensive yet motivating way to get the message to your attendees. Once your event begins, remind participants often to take advantage of the app’s many useful features. Power users: Identify a few users who adopted early and are using the event app social feed and other features. Ask them to be your app champions—to interact with others on the social feed, and remind other attendees of how the app can benefit them. Showcase these power users as a great example of how to build out your profile with documents and video. Do a little mini-interview about how they feel the app is benefiting them, and post it to your social feeds. The attention will do you both good! Push alerts: Just before the event, when many participants have downloaded the app, use your push alerts to remind everyone to engage—building out their profiles, asking for meetings, building a personal agenda. Use the app yourself: Be sure you’re posting enticing, educational or funny pictures, links and comments to your private event social feed as well as your external social media. Use push alerts judiciously to direct traffic and remind attendees of important features of the event. If you’re using in-app polling, remind speakers to engage the audience that way. The more people use your app, the more people will use your app! Bing! Instant ROI! 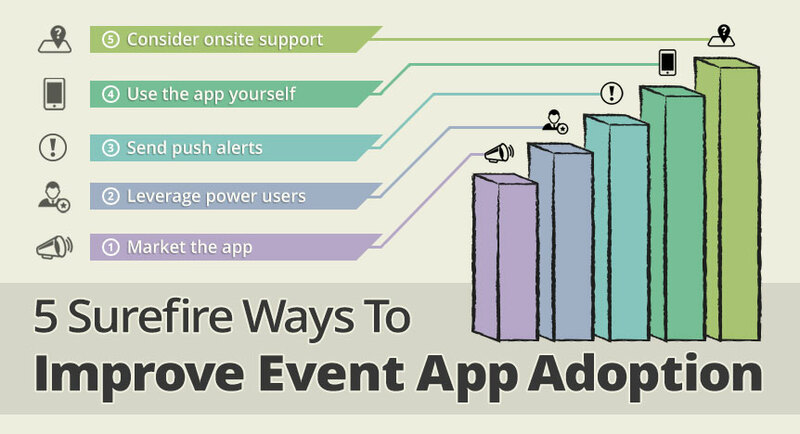 Onsite support: Consider adding onsite app support at your event. Having app experts on hand to answer every attendee question takes the work off your team’s shoulders and increases the numbers of attendees who will use and profit from your event app. Talk to a JUJAMA app specialist today.